From scheduling to payroll, Sling makes it possible to organize and manage all your work from a single platform. 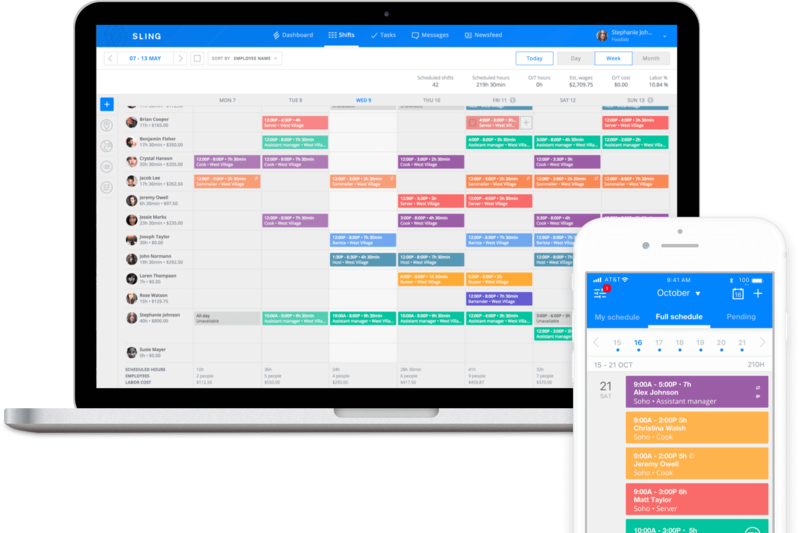 No matter the size of your business, Sling helps you organize your employees' work schedules. It makes employee scheduling easy, so you can get scheduling done quickly and move on to other tasks. 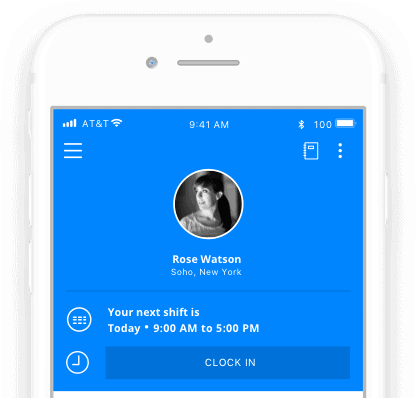 Simplify your time-tracking process with the time clock feature on Sling. No paper time sheets or fixed terminals required! Cut costs for your business, record accurate clock ins, outs, and breaks, and reduce headaches for managers. Set weekly labor budgets for your locations, preferred hours and overtime thresholds for your employees, and get alerted of any access. Add wages, and monitor how much each shift is costing you, and keep an eye on your labor spent per period. Analyze and understand your labor data by pulling reports for a day, week or month, or for customizable periods. Make adjustments for the future and drive your business forward. Let Sling help you track your employees’ PTO! Cap paid time off by leave types that your business supports, and approve incoming requests based on the remaining allowances. Communicate more efficiently from a single platform! 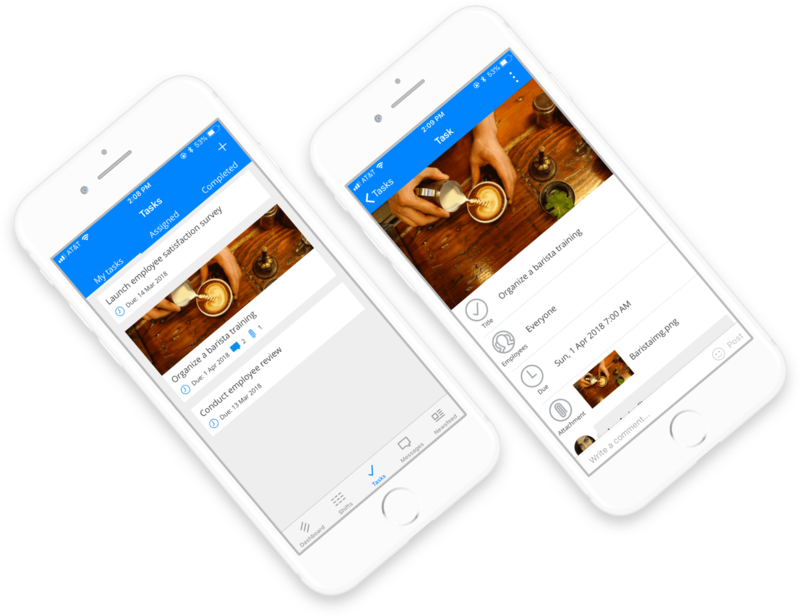 Send messages to groups or individuals, keep everyone informed and build a better company culture. Easily reach employees within groups, locations or specific positions and get notified of their responses in real time. Share news efficiently and save some paper too! Set up pages to distribute information to specific groups of people within your team. 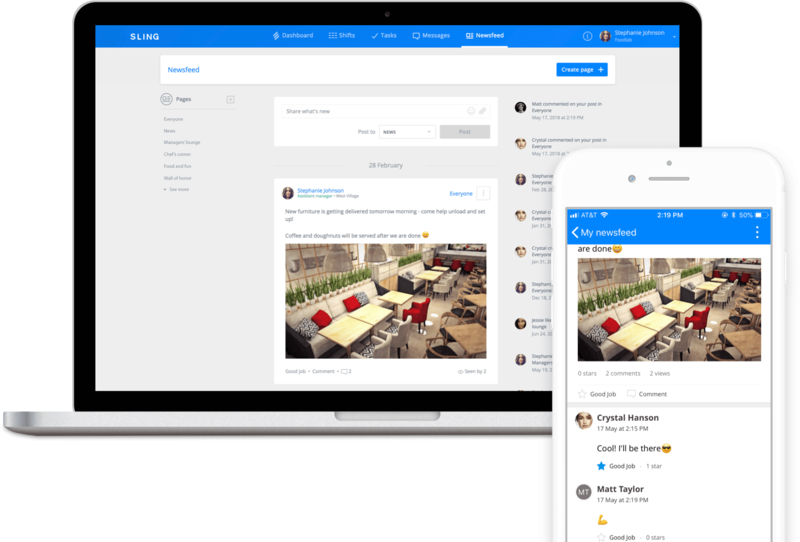 Post updates, files, pictures and videos, create your own social space, - all within the same platform where employees come to check their schedule! Assign tasks and follow their progress. Create to-do lists for yourself or your employees. Set due dates and get reminded as the dates approach. Build employee schedules in minutes or save schedules as templates to use when you need them. Manage all of your scheduling needs in one place and keep everyone up-to-date with schedule changes. 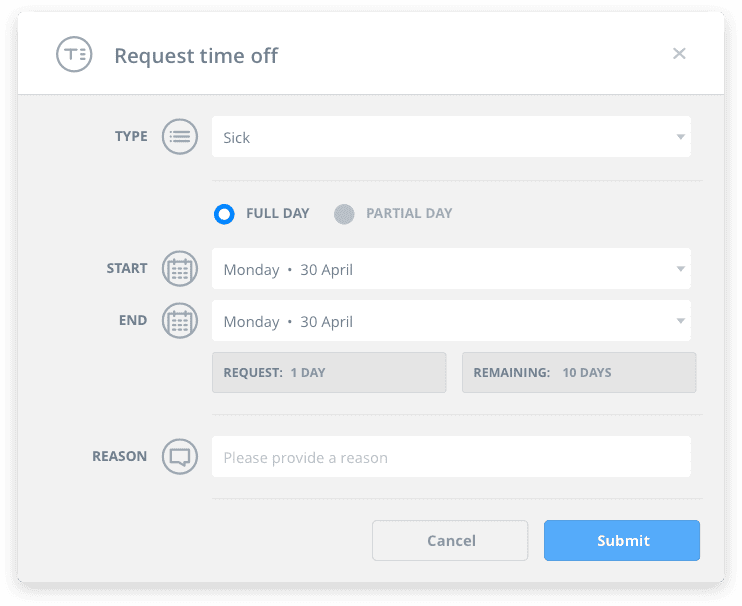 With Sling, you always know who’s working when, by managing time off requests, employee availability, and shift trades — any time, anywhere, and all in one platform. Keep labor costs within budget by specifying employee wages. 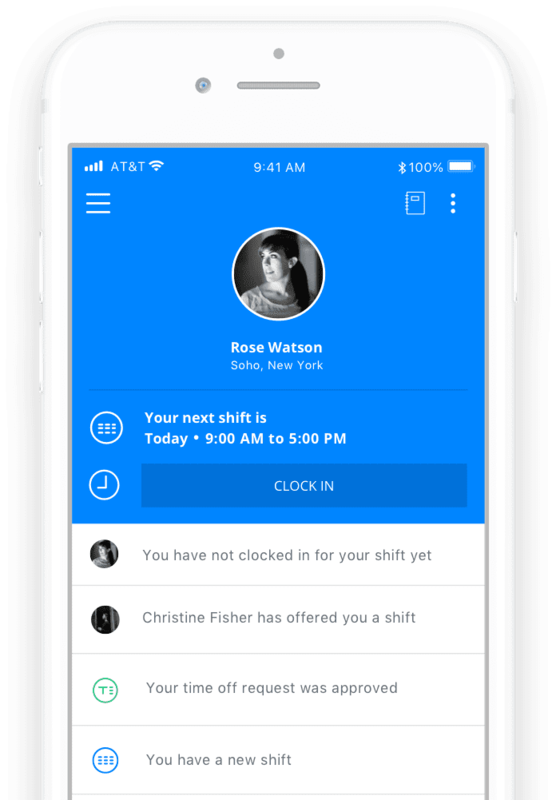 Use Sling to spot and prevent unnecessary overtime by setting overtime rules and receiving timely alerts. Pull reports as often as you like to keep an eye on your labor spend per period and make adjustments to keep your margins healthy. With Sling you’ll always know where your money is going. Keep employees informed without ever leaving the platform. Make company-wide announcements, share information with departments, or reach out to specific employees. 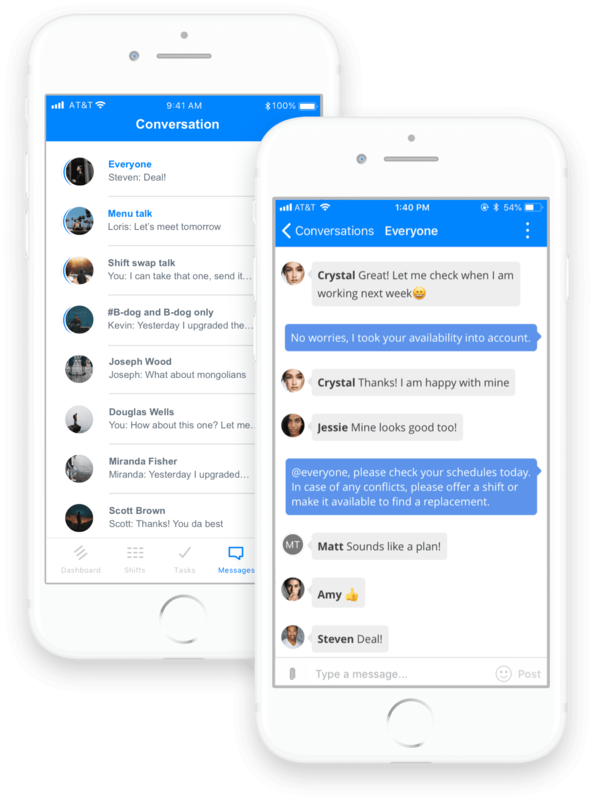 Whether you’re updating employees with company news, discussing shift changes, or following up with vacation requests, Sling communication tools make communication easy and efficient. We understand that your daily to-do list is long. To make life easier, we developed Sling — the most multifaceted employee scheduling platform available. 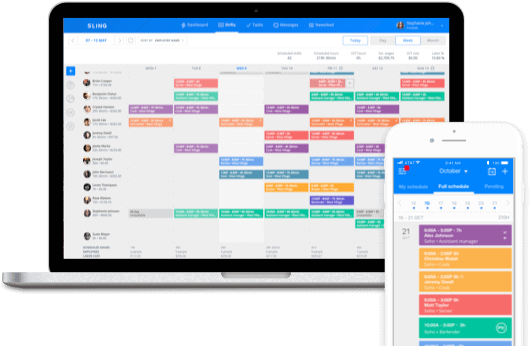 With Sling’s employee scheduling features and management tools, you can quickly handle all your business needs and leverage your time effectively. 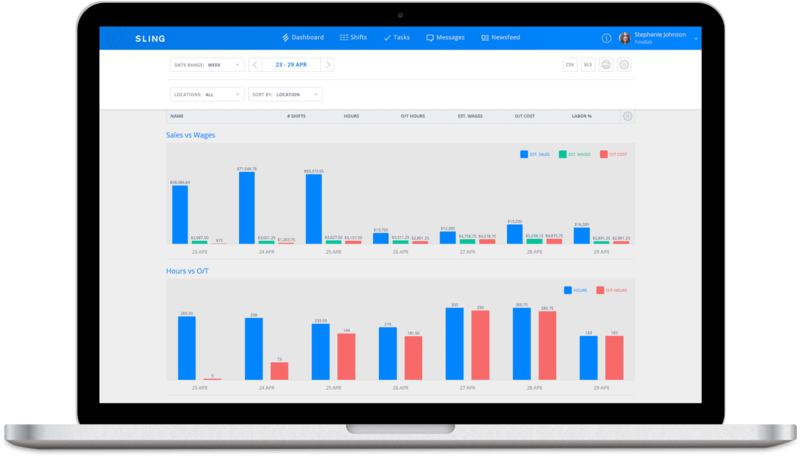 Take care of employee scheduling, monitor your labor spend, and communicate with employees all in one platform. Whether you’re managing a team of 5 or 500, Sling will save you valuable hours. With just a few clicks, you can approve PTO requests, find coverage for shifts, and seamlessly track your labor spend while staying on budget. "Sling has made creating schedules a breeze! Not only is it easy to use, but it’s a huge time saver." 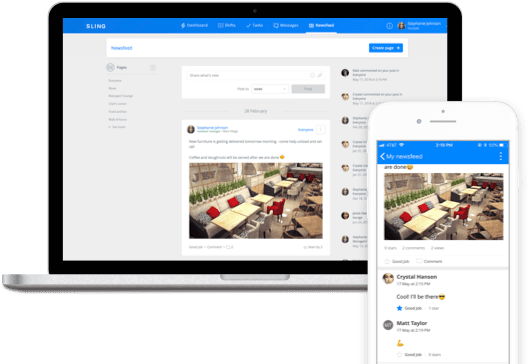 By automating processes and centralizing workplace communications, Sling can make just about any organization run smoother. Already have an account? Download the free mobile app.